Originally added in 1530, this part of the castle housed the Great Hall on the first floor. 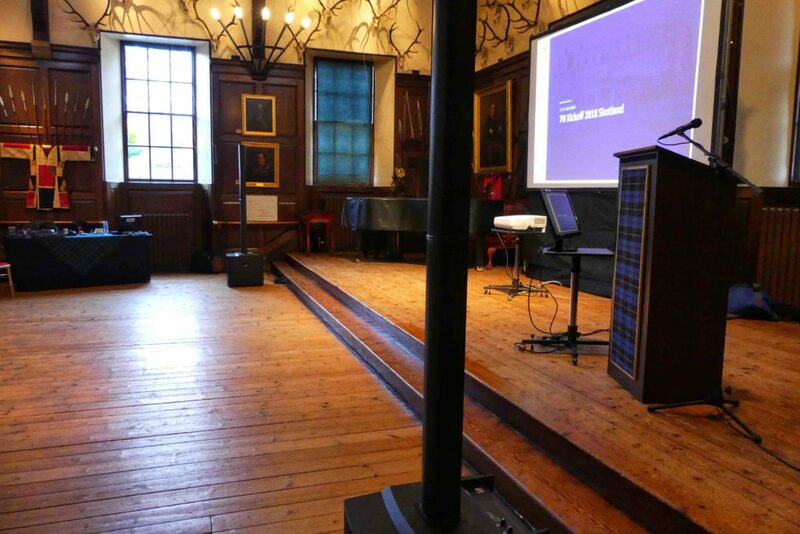 The space was transformed during the 1740s when the castle was remodelled as a Georgian mansion, and one of Scotland’s greatest conference venues was created. 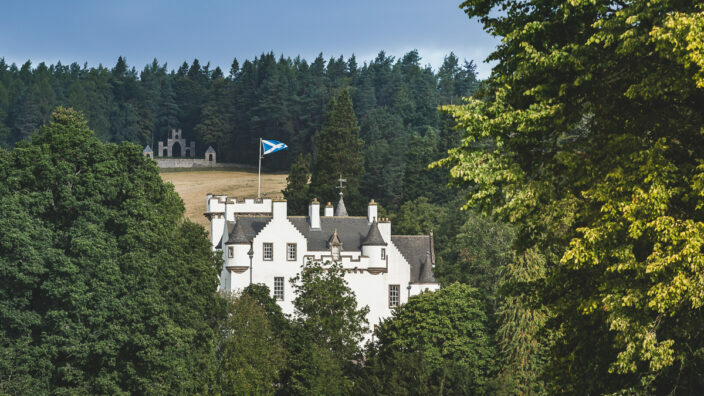 The magnificent interior is enhanced by the superb views over the landscape to distant Schiehallion. So when an occasion requires an appropriate sense of style, the baroque ambience of the State Dining Room offers a regal setting for private dinners, where 16-50 guests can celebrate a special anniversary or gather for a corporate event, whether to impress key clients or mark an important milestone. The State Dining Room is also a splendid setting for wedding ceremonies and drinks receptions for up to 140 people. 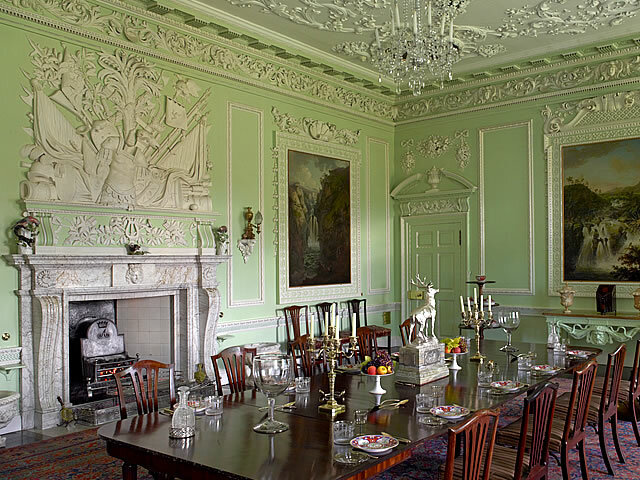 The State Dining Room is available from 6pm from 1st April to 31st October, and earlier during the winter. Special celebrations require an appropriate setting to bring them alive and imbue them with the sense of scale, elegance and grandeur that they deserve. 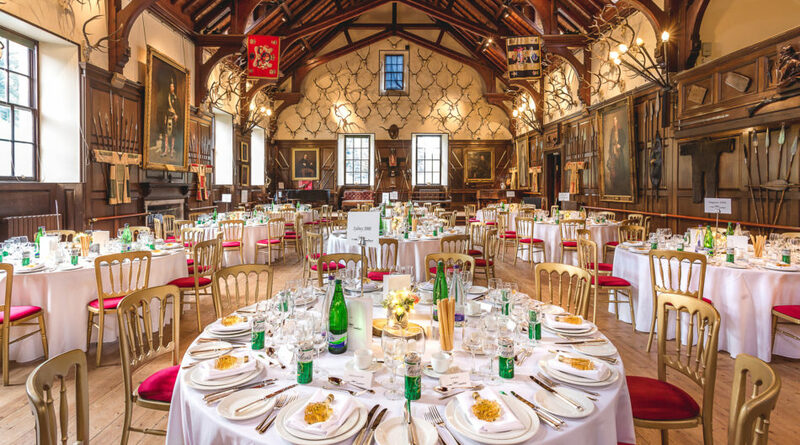 With its quintessentially Highland character, Blair Castle’s magnificent Scots-Baronial Victorian Ballroom, designed by David Bryce, brings colour and tradition to any special occasion. Celebrations combining dining and dancing are all enhanced by the excellent acoustics, atmospheric lighting, Bechstein grand piano and spacious dance floor. More formal arrangements can be made for larger events, when the Ballroom can accommodate up to 400 people in theatre-style seating. The Ballroom is available throughout the year. Offering a bold, contemporary, glass-themed space for smaller informal gatherings and conferences, the Banvie Hall adjoins the Ballroom and can be accessed via a ‘secret’ door. The glass front overlooks the castle lawns and surrounding hills. The elegant space accommodates bar and sitting-out facilities. 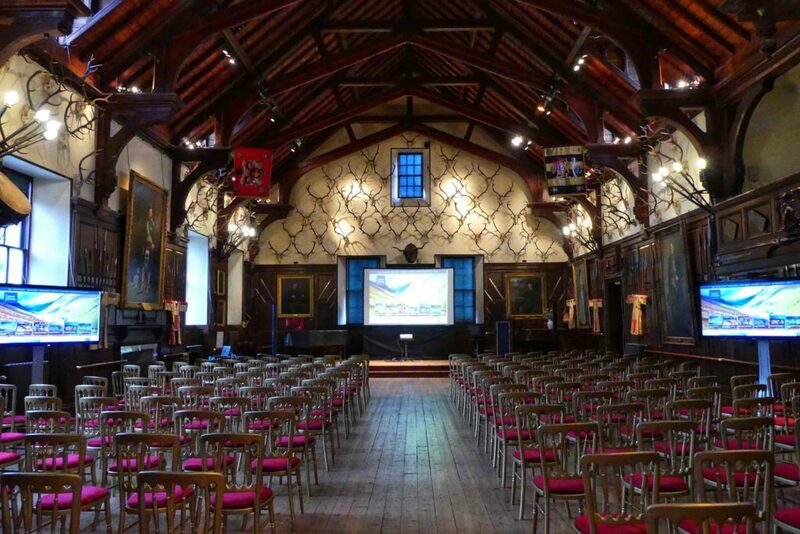 The Banvie Hall can form a useful extension to a larger event taking place in the Ballroom, or make an ideal setting for pre-dinner drinks or reception parties. 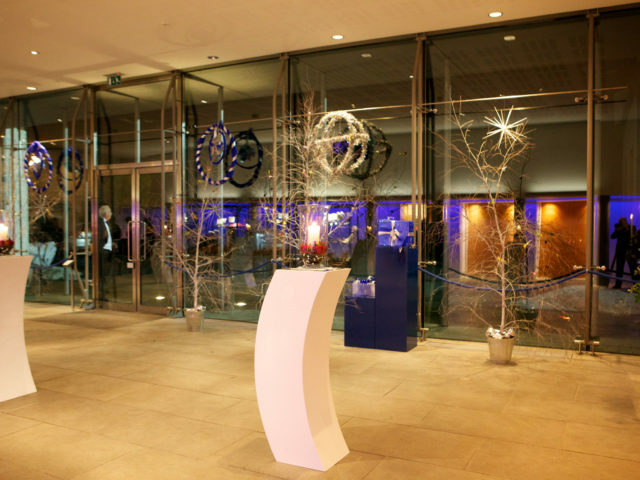 One of the Banvie Hall’s most striking features is the double plate-glass facade, which opens directly onto a tarmac drive, making this a great space for a car launch, or events requiring easy access for display materials. 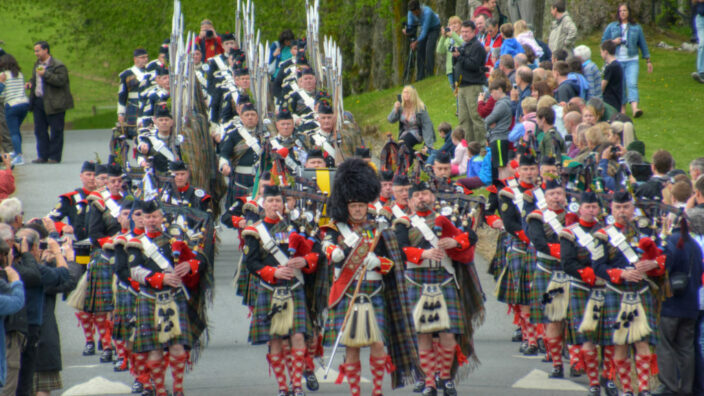 The Banvie Hall is available from 6pm from 25th March to 28th October, and earlier during the winter. 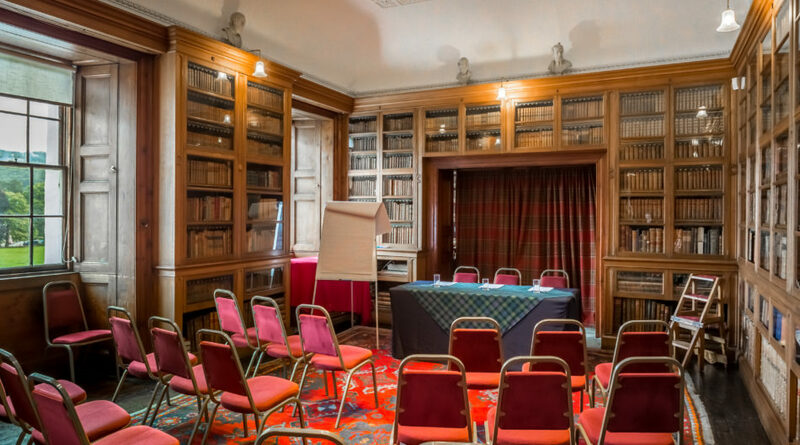 In the dignified quiet of the Library, lined with a magnificent portfolio of Scottish learning, small gatherings of up to 40 guests can meet and soak up the unique atmosphere. 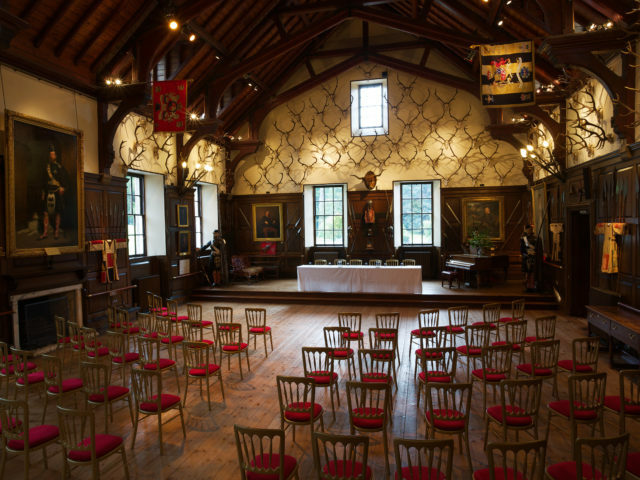 The Library is perfect for small wedding ceremonies, or board meetings for up to 12 delegates, and can be transformed into an excellent conference venue with up to 40 theatre-style seats. 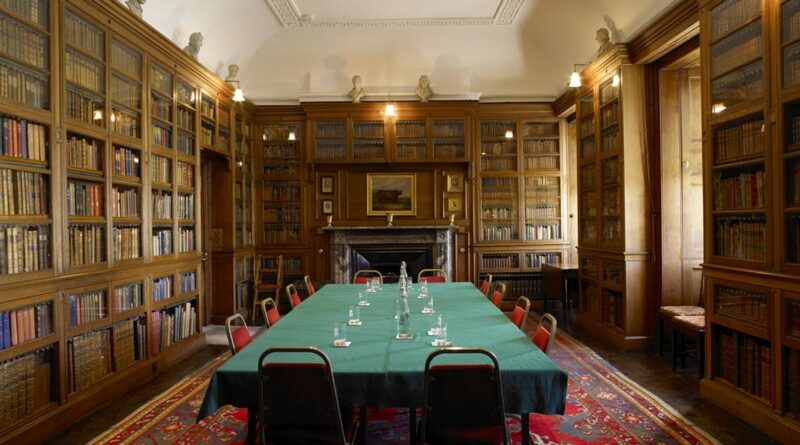 The Library wing was built by the 2nd Duke of Atholl around 1750 and was rebuilt in 1814 following fire damage. The busts lining the tops of the shelves include literary luminaries such as Milton and Shakespeare. They were originally created by John Cheere in the 1750s for Diana’s Grove, situated in the gardens, and were then re-housed in the Library. The Library is available throughout the year.